"I was originally searching for a titanium band and loved they way they looked until I came across tungsten wedding bands. 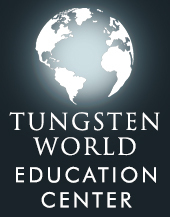 I couldn't believe that the tungsten rings were stronger and more scratch resistant than even titanium. The luster was more clear and the polished edges were awesome. I love the weight. It feels more valuable than platinum or white gold yet is more durable and is a fraction of the cost. I couldn't be more happy. Thankyou truly! "I needed a ring that my honey could wear to his job. He works heavy construction and it has stood up quite nicely to his everyday abuse. He just loves his ring and always tells his guy friends about it! 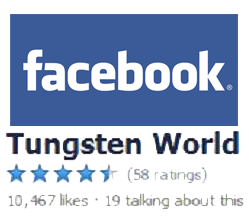 Also TungstenWorld, you have outstanding customer service! Thanks for taking the extra time with me on the phone to answer my 110 questions. We wont forget you guys.."
"I wasn't too sure about getting my husband a trendy ring, but your selection is great and it was exactly what he wanted. When my fianc? saw this ring and he loved it - modern look with brushed finish. He says that I did a great job! Thank you for all the emails, replies and for helping us find something he and I can both cherish! " "This is the most Gorgeous ring I have ever seen. I can wait till he gets it! 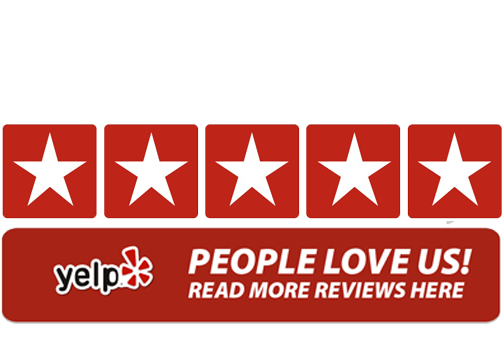 Your super fast shipping and excellent phone service has made this the easiest online transaction ever, even for someone like me.."
"You guys are a great company to go through. 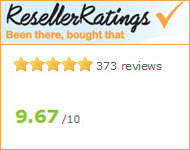 Simple, easy payment, really quick shipment and very honest on the phone. Steve, you are such a nice and helpful gentleman. Your professional advice really cleared things up for us. Thanks a bunch." 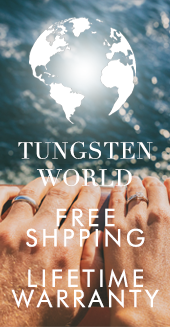 "I was considering getting titanium for its light weight, but instead I found this tungsten ring to be lighter than expected but even more beautiful than titanium and WILL NOT scratch! This was also the fastest online shipping I have ever seen (2-days and for FREE)!!" 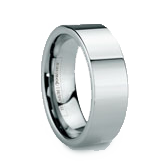 "I must admit I spent a long time looking for the perfect tungsten ring online. 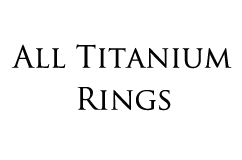 I didn't see anything anywhere else that had your designer-quality, gigantic selection, free gift accessories, amazing phone support and all at the lowest price around! I don't know how you guys did it, but I'm telling all my friends! ;)"
I couldn't believe how much fun I had while I was online looking for my man's prefect band. He told me the decision was up to me and to pick whatever I wanted. The problem was that your selection is so big that I spent half the day comparing styles and textures leaving no time for the zillions of other things I should have been doing for the wedding. But I must say that your pictures were the single reason I did come to a final decision. They showed every minute detail so I knew exactly what I was getting. That accompanied by speaking to Steve on the phone whom answered all of my questions so patiently really helped out. I love the ring and so does he! Thanks Vince! 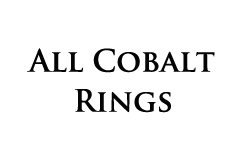 It's rare that companies that offer such amazing products online as well as having really amazing customer service. 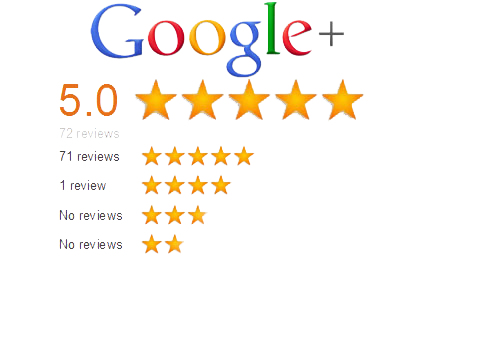 I am a firm believer that good, friendly service is one of the keys to a successful company. 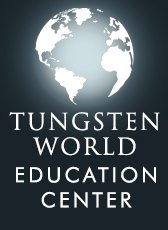 Tungsten World and their tungsten rings are one of the companies that I will really be spreading the word about! I really appreciate the help from Steve, Brett, Josh, and yourself. Thanks again! I wanted you to know how much I appreciate how well you handled my order when I purchased one of your tungsten carbide wedding bands. From the minute I saw it I loved it. You guys are great, and whenever I get a chance I will let everyone that asks about your company. I had an outstanding experience with your company, and I have been married now about a week, and I get so many compliments on the ring. I was quoted a price of $3,200 for a platinum band and I thought there were out of their minds. 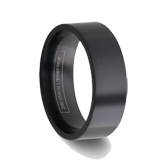 I ended up getting a Tungsten Carbide band with a brushed finish and it looks just like the platinum band with comparable weight. Best of all, its way more durable and affordable. 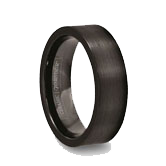 Price does not always reflect quality and as an engineer, I like the fact that I can compare my new tungsten ring to the material of a saw blade with a Vickers hardness of 9.0! I recommend this site to all my friends.